As Ohio’s capital city, Columbus welcomes visitors and locals alike to experience the thriving heart of Ohio! I often think of Columbus as the hidden gem of the Midwest, with a great food and art scene and more surprisingly, one of the best coffee scenes in the country! To showcase our numerous locally owned coffee shops, the Columbus Coffee Trail highlights 17 area participating coffee shops. Visitors (and locals alike) can pick up a Columbus Coffee Trail passport at a participating coffee shop, purchase a drink at four or more coffee shops then return the completed passport to Experience Columbus’ visitors center for a free Columbus Coffee T-shirt! 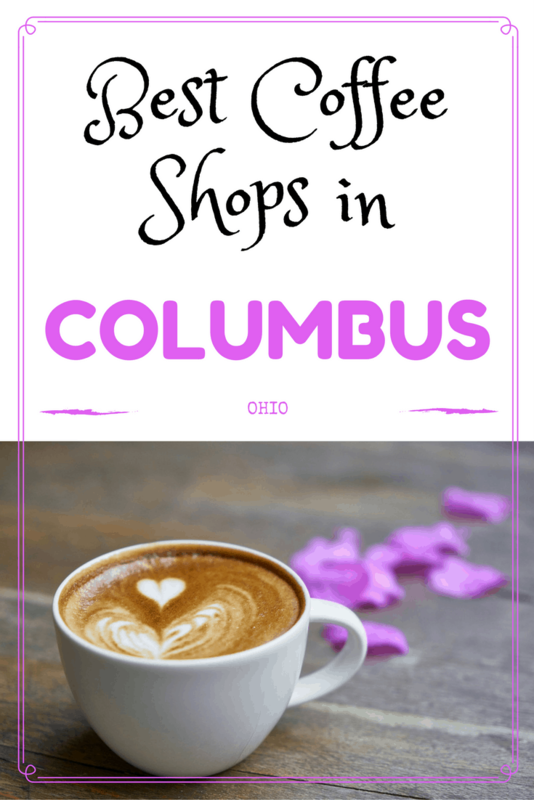 It’s a fun way to explore Columbus’ favorite coffee shops! With a commitment to education, quality and sustainability, the Columbus coffee scene has become one of the best in the country! 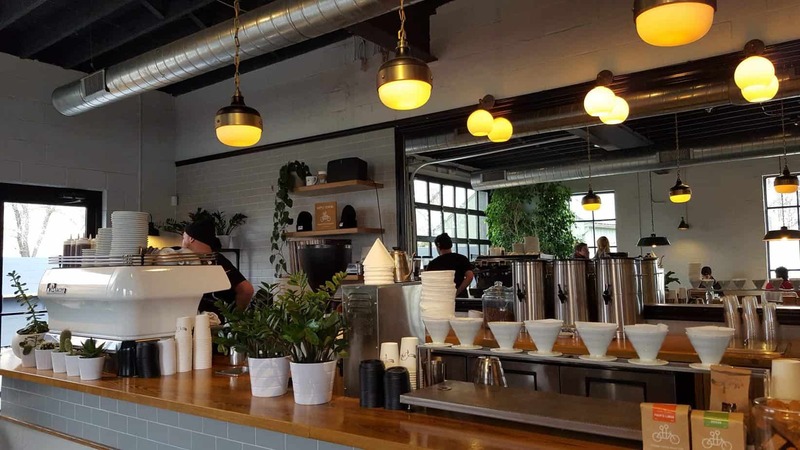 From a frothy cappuccino, flavored latte or mocha, a shot of espresso, your favorite pour-over to a local cold-brew, the Columbus coffee scene has it all! Stauf’s Coffee Roasters has been a Columbus staple since 1988. 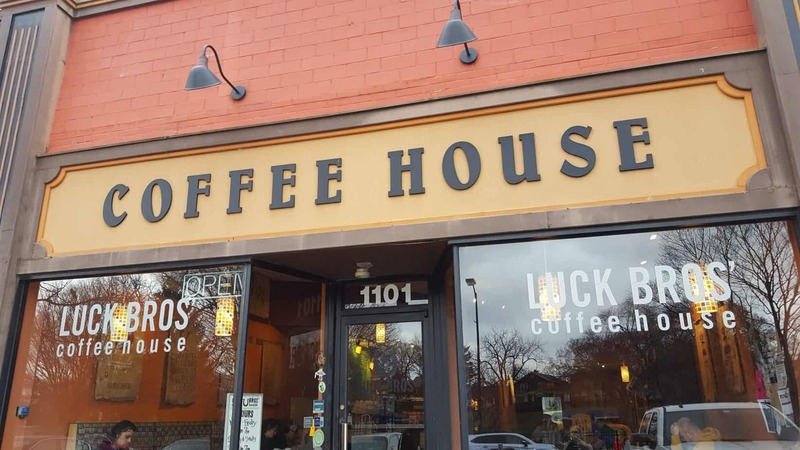 With three locations; Grandview, North Market and German Village, locals and visitors alike will enjoy tasty coffee at one of Columbus’ original coffee houses. My personal favorite location is Stauf’s-Grandview. With a large, free parking lot (located behind the building), lots of tables inside (a few tables outside), plenty of outlets to charge electronic devices and free Wi-Fi, Stauf’s-Grandview has become my favorite place to work in Columbus. 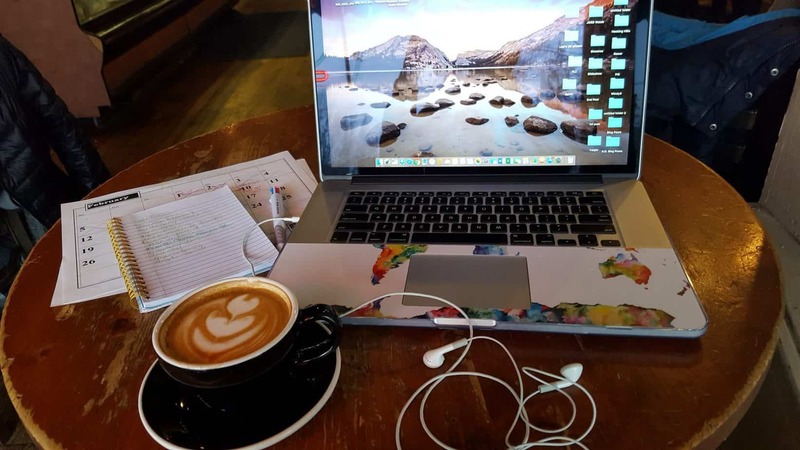 Although it can be a popular place, I would suggest visiting mid-morning to grab a small table, set up your work space and don’t forget your headphones, if you want to cancel out the noise of others. Order a cup of delicious coffee, my personal favorites are their cappuccino, vanilla latte or white mocha. 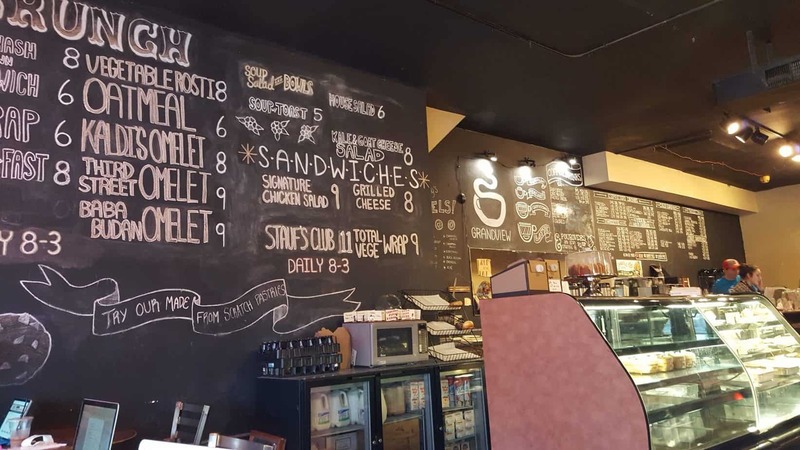 If you get hungry, Stauf’s-Grandview has a breakfast and lunch menu available (kitchen is open until 3pm) or snack on locally made desserts and pastries. They even have 60 types of coffee beans from more than 20 countries to purchase and create your own cup at home! 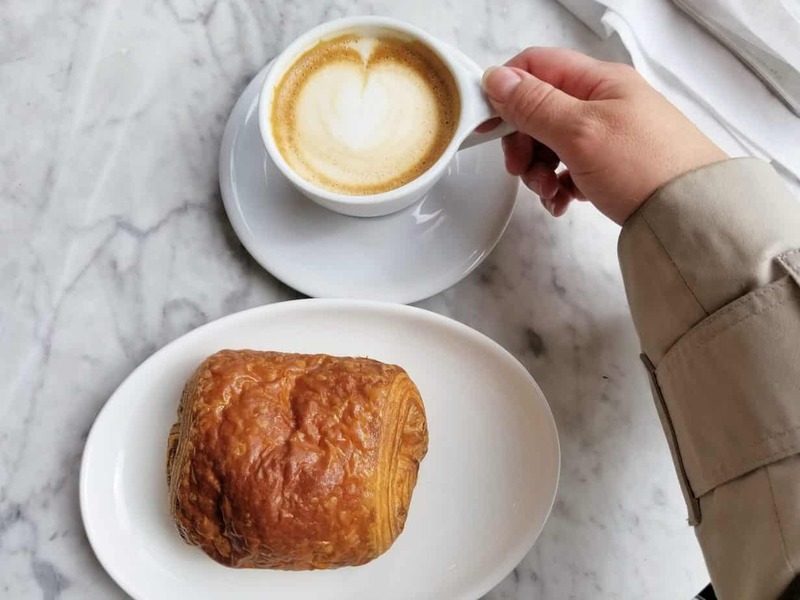 In the heart of German Village, Pistacia Vera welcomes guests to enjoy delicious local coffee and French-inspired homemade desserts and pastries. With a cozy and bright atmosphere, the floor to ceiling large windows allows guests to enjoy their coffee, pastries or brunch (served until 2pm) while looking upon the historic brick streets of German Village. My favorites at Pistacia Vera are a latte, pain au chocolat, and the pistachio, passion fruit and cocoa nib macarons. With free parking (small parking lot across the street and a few on-street parking spaces), a small dining room and a few outdoor tables, Pistacia Vera wants their customers to enjoy the experience at their cozy coffee shop, so no Wi-Fi is offered or access to electrical outlets. Pistacia Vera is a great place to enjoy a good book, meeting a friend or loved one for brunch or treating yourself to a delightful handmade pastry! *Pistacia Vera does have a small second location inside the North Market. Located in a renovated mason garage in Italian Village, the Fox in the Snow Café is probably one of Columbus’ most well-known cafés. Serving hand-poured hot and iced beverages, pastries made from scratch in a well-lit open space, Fox in the Snow welcomes guests to enjoy their experience at this café. My favorites at Fox in the Snow is a latte and any of their delicious pastries! With several wood tables, a high-top counter facing into the large windows of the bakery, outdoor patio space, free parking, few electrical outlets, but no Wi-Fi available, the Fox in the Snow is a place where conversation can be seen and heard throughout the cozy space. It’s the perfect spot to enjoy a book, listen to good music, enjoy a conversation or consume delicious handmade baked goods! 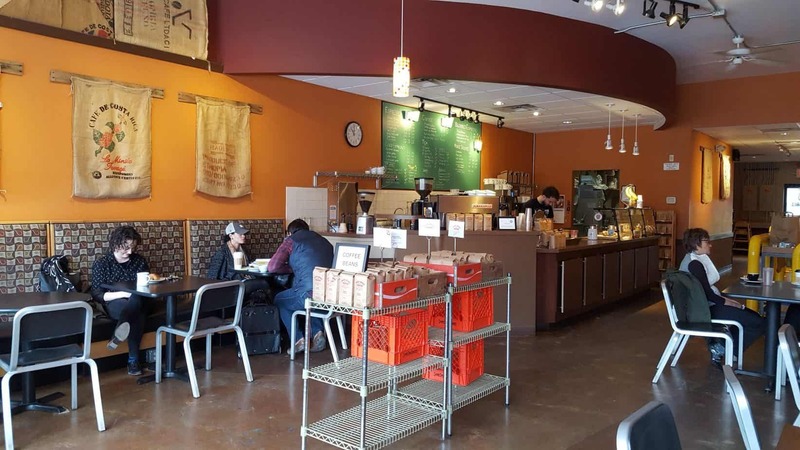 This hidden gem of a coffee shop, offers on-site small batch roasted coffee, loose teas, iced coffees, espresso flights, house-made muffins and cookies, donuts from Destination Donuts (offered weekends only), bagels from Sammy’s Bagels and sell their specialty roasted coffee beans. My favorites at Luck Bros’ Coffee are the cappuccino, white chocolate mocha and vanilla latte. Luck Bros’ is in a small shopping center with free parking (small parking lot and on-street parking), plenty of small tables, offers free Wi-Fi and numerous outlets are available throughout the coffee shop. I enjoy the cozy space, delicious coffee and the soundtrack (with a variety of music) playing throughout the shop! Located in the heart of German Village, Winans Chocolates + Coffees welcomes guests to sip on delicious roasted coffee and nibble on handmade specialty chocolates. Both the coffee and chocolates are produced in Piqua, OH at the original Winans Chocolate + Coffees. Winans serves roasted drip coffees, handcrafted lattes and mochas, pour-overs and iced drinks. My favorites at Winans include the vanilla latte, seasonal latte (they make great seasonal drinks in flavors that are surprisingly delicious!) and of course, any and all of their hand-crafted chocolates! Visitors to Winans will find free on-street parking, a small cozy atmosphere with a few tables inside and outside on the patio, a wonderful assortment of hand-crafted chocolates to satisfy your sweet tooth and delicious coffee. 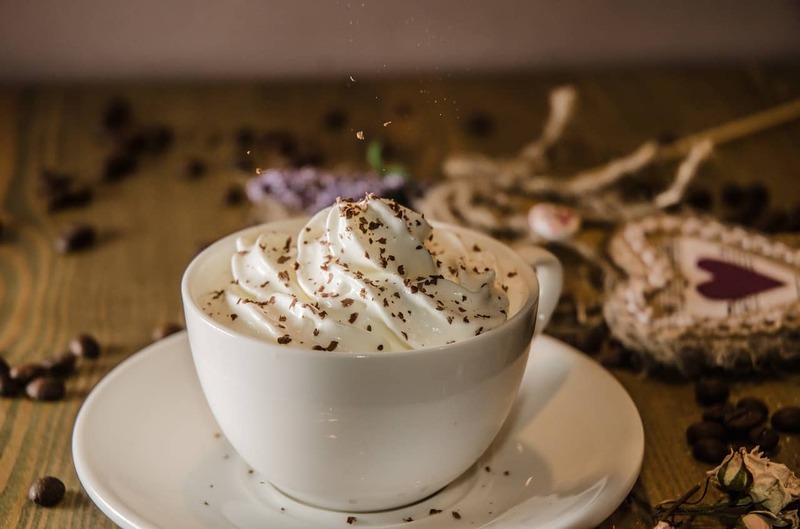 Winans is one of those places to grab a cup of coffee and sweet treat, read a book, meet a few friends and enjoy the deliciousness of Ohio made chocolates and coffees! *Winans has numerous locations in southwest Ohio and a second Columbus location in Dublin. These are just a few of the many delightful options for the best coffee shops in Columbus! Come experience the welcoming Midwestern charms of Ohio’s capital city and make a visit to one or many of our locally owned coffee shops! To learn more about Columbus’ coffee scene and other local coffee shops, please visit www.cbuscoffee.com. To plan your visit to Columbus, Ohio please visit www.experiencecolumbus.com. 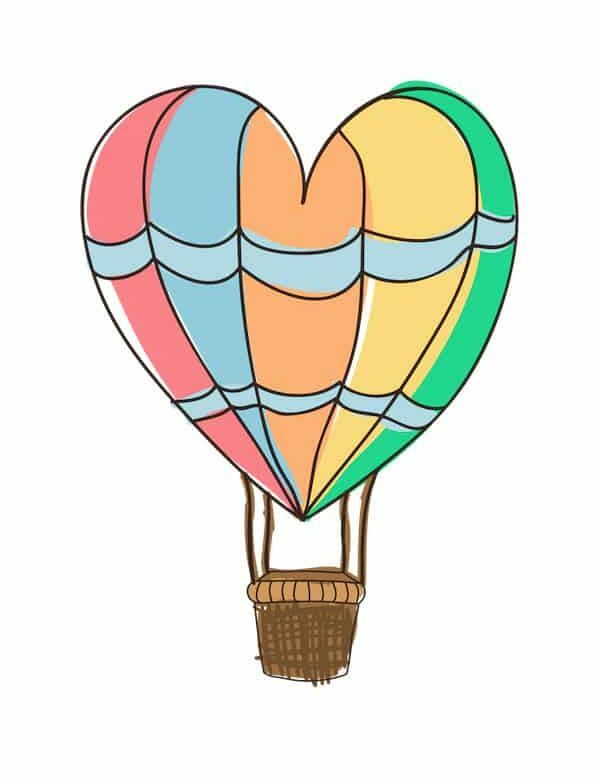 Heather of Ohio Girl Travels, is a small-town Midwestern girl with a passion for books, dogs, motorcycle trips, travel and wine. 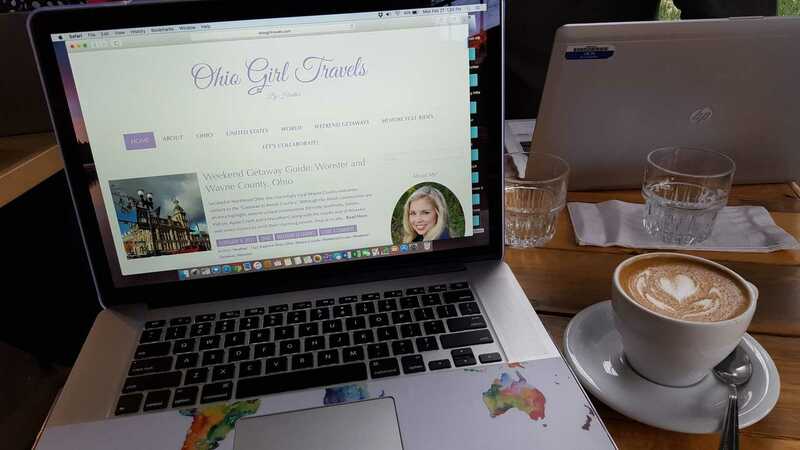 Whether she is gallivanting the globe, exploring the United States or discovering hidden gems in her home state of Ohio, she shares all her adventures on her blog and social media! Liked what you read? Want to save for later? Pistacia Vera is one of my favorites! Gotta try some of the others next time I’m over there.